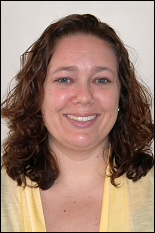 Jill Frankenfield, Assistant Director in the University of Maryland (UMD) Office of Research Administration (ORA), has been selected by the National Council of University Research Administrators (NCURA) as a 2016 ARMS-NCURA Fellow. A joint initiative with the Australasian Research Management Society (ARMS), the purpose of the fellowship is to further the training of research administrators and fostering research collaborations between the United States and countries in the Australasia region. The NCURA Select Committee on Global Affairs and an ARMS representative selected Frankenfield based on her national and international research administration experience, a statement of interest, and institutional support. As an ARMS-NCURA Fellow, she will spend two weeks at the University of New South Wales in Australia to share experiences and knowledge of how research administration management operates at the University of Maryland and to identify best practices and local knowledge of the host institution. A UMD journalism alumna, Frankenfield’s career in research administration began in 2003 as a Contract Administrator at UMD. She also worked as a Contract Negotiator in the Corporate Contracts division of the Office of Technology Commercialization at Rutgers University. She has been a member of NCURA since 2005. Learn more about the ARMS-NCURA fellowship program.